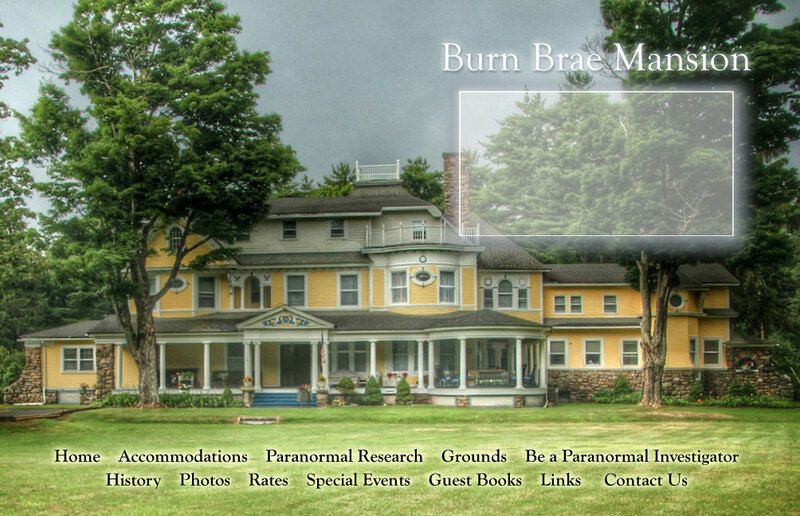 Burn Brae Mansion has been the subject of numerous paranormal investigations and can be booked by ghost hunting groups for private research upon request and availability. On a beautiful night in August, 14 Ghosthunters from SJGR arrived at the Mansion complete with motion sensors, digital cameras, digital voice recorders, and Iinfrared thermometers, as well as some sensory abilities of their own. Their research uncovered evidence that was off the charts compared to an average investigation. They found 186 positive photos 2 positive videos and 5 motion sensor readings, which were described as well above average. They also picked up 47 EVPs and 32 Positive Anomalous EMF readings, which is extremely high. Almost all of the sensory investigators reported an overwhelming sense of spirit activity accompanied by cold patches, pressure and emotional swings. The following are some samples of the evidence. The following are some samples of the evidence.